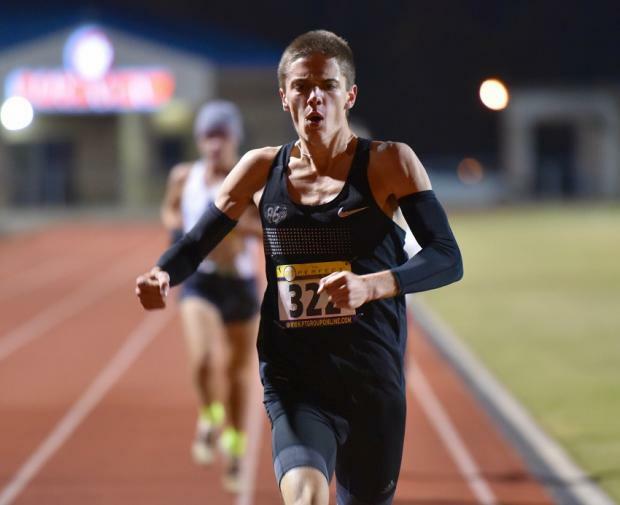 Postal Nationals is a unique "National Championship" where athletes race a 3200m. 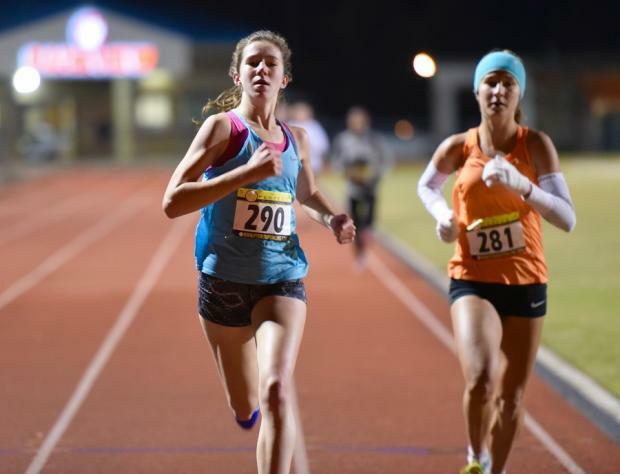 If an athlete is affiliated with a team, that athlete's coach will enter their top 5 athletes' times into the Hoka One One database where you'll see where your team stacks up against other teams nationally that host an event. 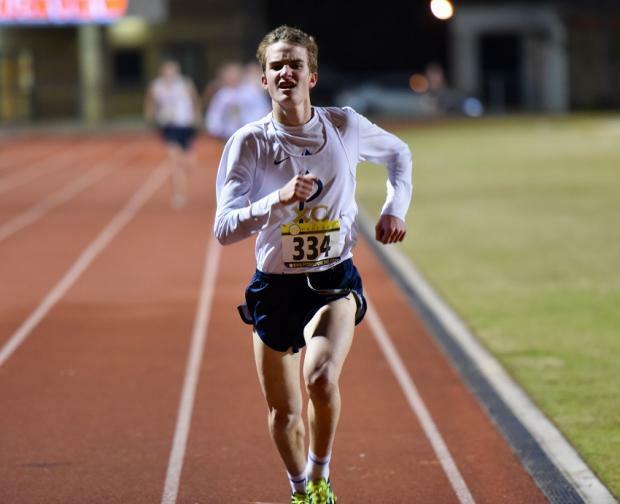 Athletes also routinely run this unattached to get a fast 3200m time on the track while still in strong XC shape. 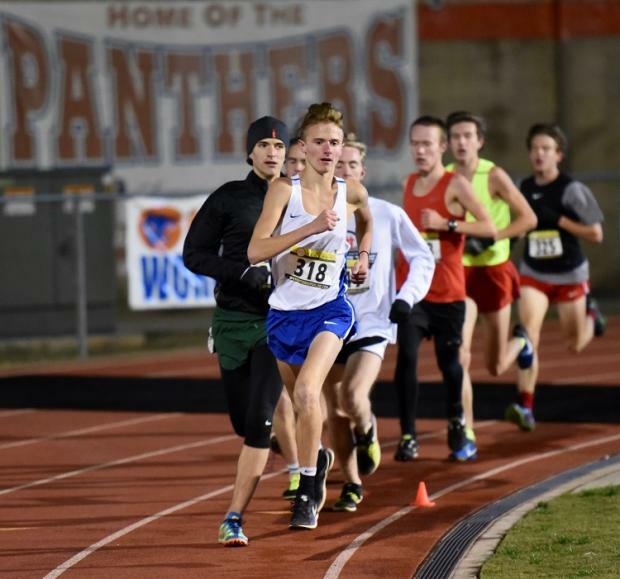 Parkview originally hosted a "local" Hoka One One event in 2015 which featured 27 athletes from 4 teams. 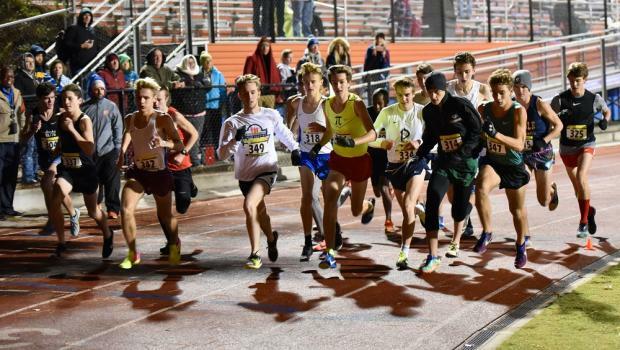 After a short hiatus along with much stronger advertising, Parkview hosted another local event last night which featured 71 athletes from over 20 teams. 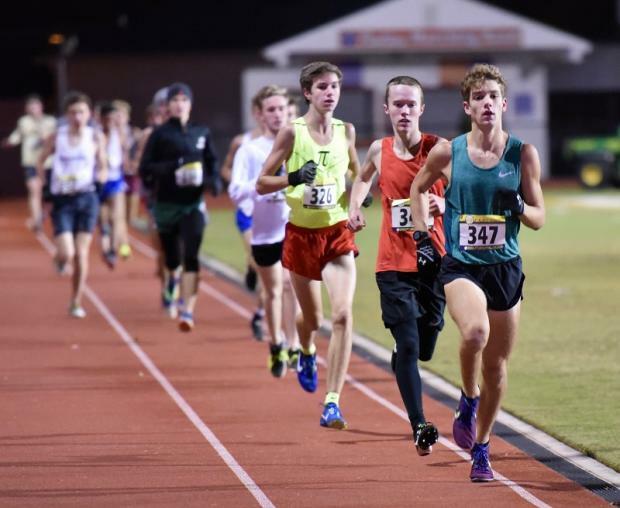 We raced 4 heats - ranging from slowest to fastest - based on this season's 5K best. 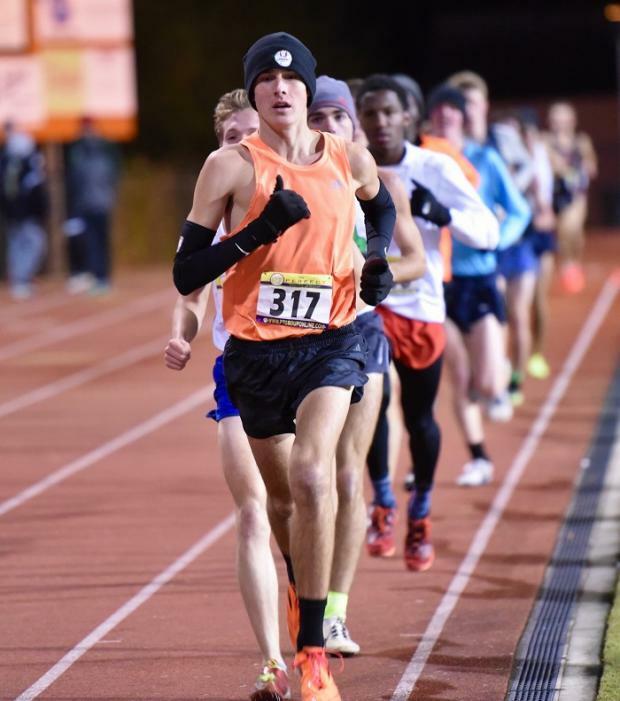 In spite of the first heat racing in 38 degrees and the final heat racing in 34 degrees, the meet produced fast times and awesome racing which had a 'championship' feel to it and will now be here to stay. Heat 1: All McCartney. 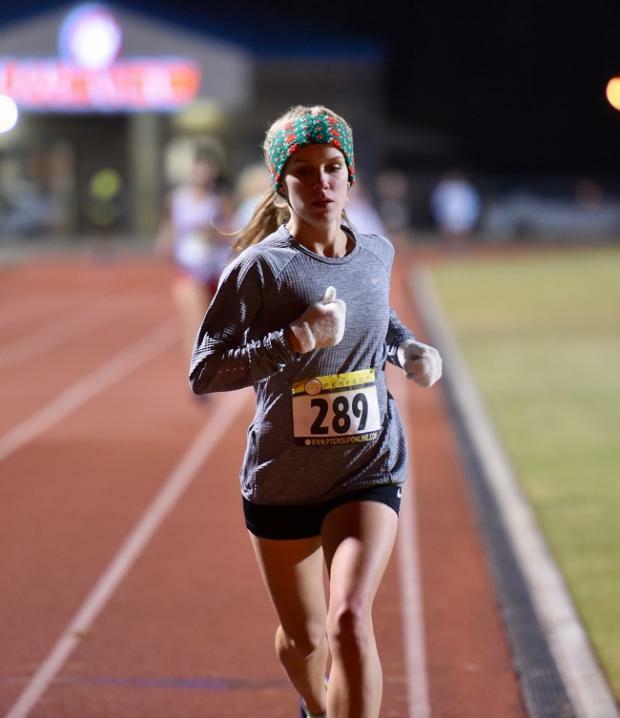 Sarah McCartney gassed the field early on in heat one and never relinquished it. 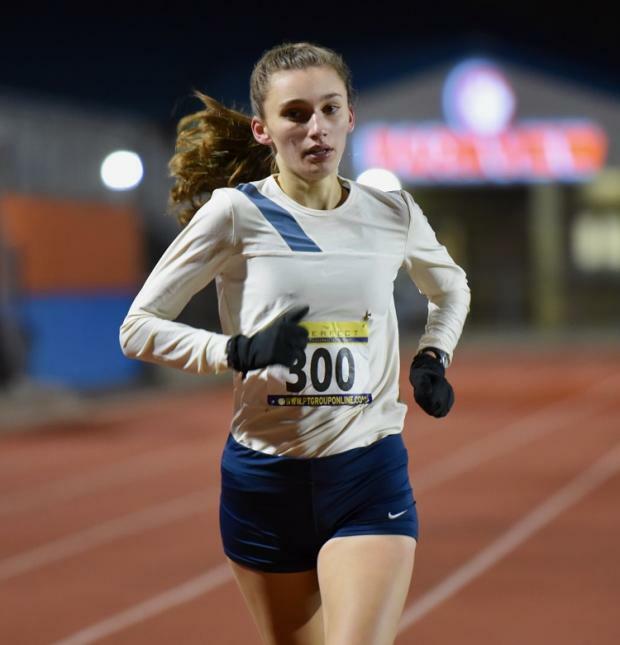 Even so, several athletes were reeling her in on the final 2 laps with Ashley Annis (12:08), Maddie Owens (12:09), Emily Jackson (12:10), and Finlay Mann (12:15) all giving chase. Heat 2: Battle of the genders. Unique to our meet vs. others contested in Georgia, this was seeded based on talent and not gender. Heat 2 featured 20 athletes - 12 men and 8 women - and it was fun to watch kids race each other who normally don't get to. 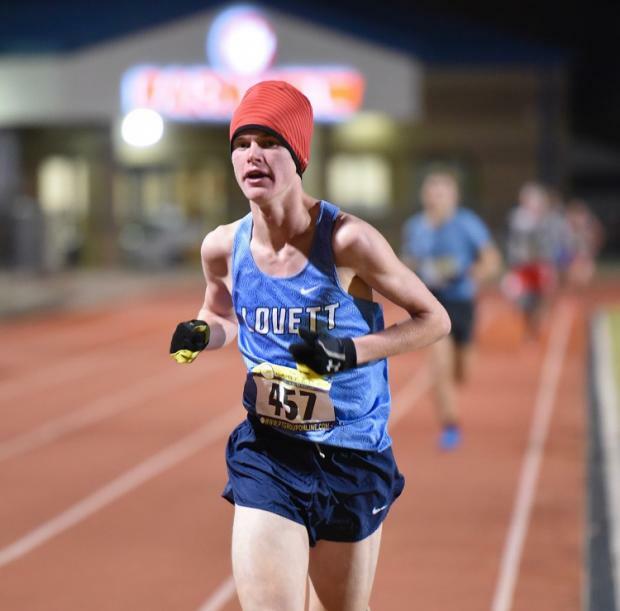 Patrick Pitts (10:33) ran away with it to win it for the boys while Reagan Mahoney (11:06) won it for the girls. Heat 3: Chasing 10:00. Heat 3 opened up strong with the leaders clearly trying to chase down the 10:00 barrier. 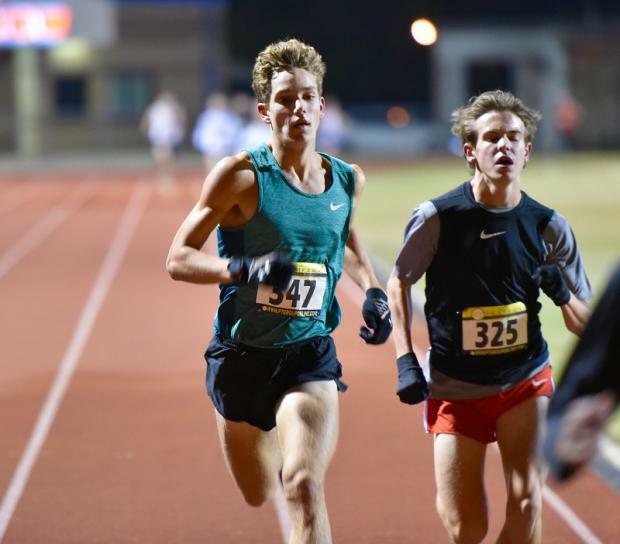 The weather likely interfered with this, but it didn't stop Cameron Watson (10:07) and Mac McCartney (10:08) from having an epic duel to the finish line. 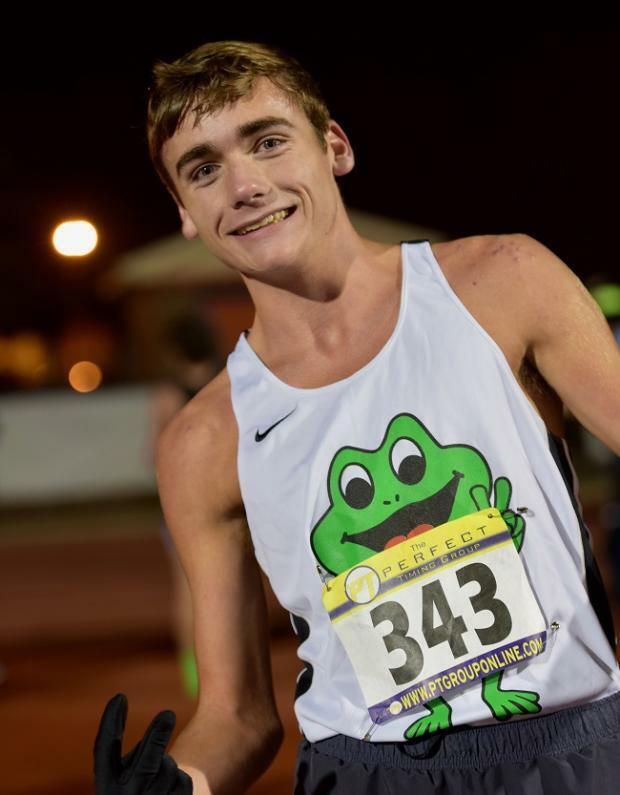 Andrew Ryan (10:14), Ethan Yankovich (10:21), and Seth Wheeler (10:21) also kept it close. Heat 3 featured 9 athletes sub 10:30 with a further 8 athletes under 11:00. Heat 4: A good old fashioned "Slug Fest". 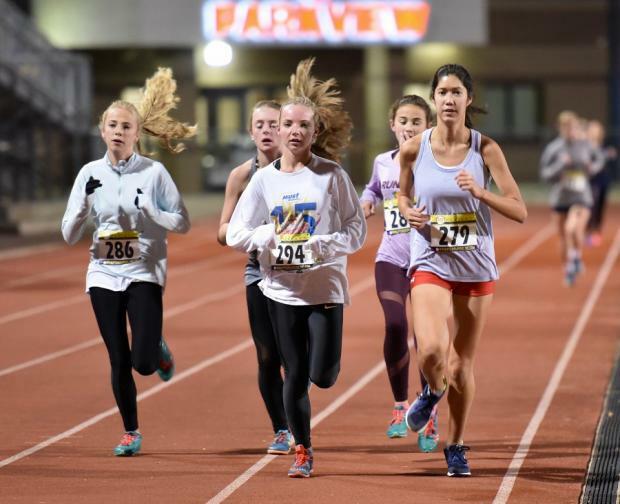 Heat 4 featured talent across multiple classes from athletes looking for top finishes in State Track in 6 months. 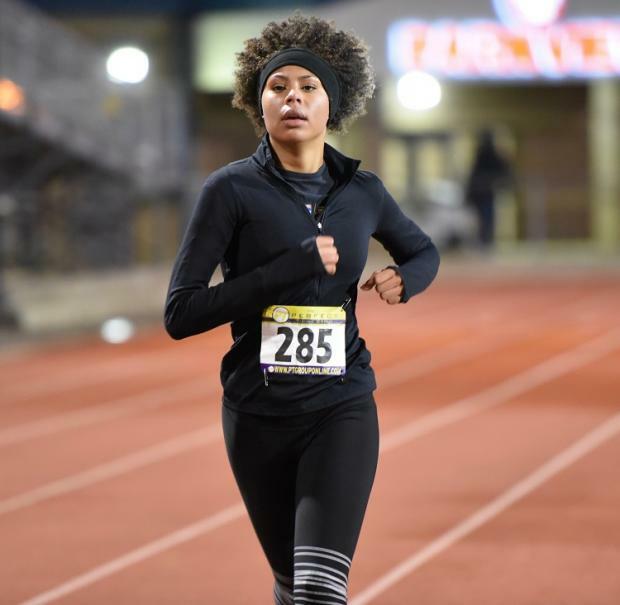 The race quickly split into two packs with a few trying to breach the gaps and numerous athletes throwing haymakers at each other throughout the race. 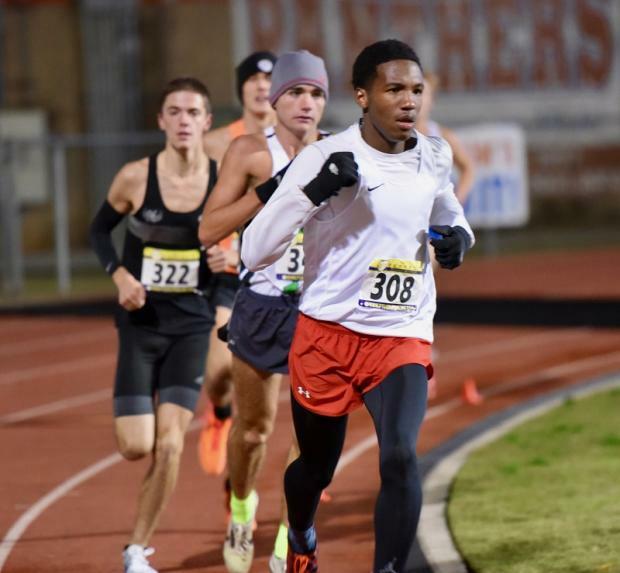 Wesley John (9:23) was able to prevail with the strongest finishing punch to knockout the rest. 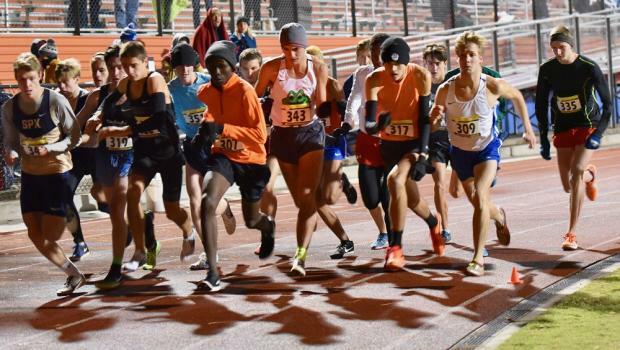 Even so, the race featured 8 total athletes under 9:40 - John, Zack Truitt (9:25), Myles Collins (9:26), Calan Gizelbach (9:31), Chase Condra (9:36), Rowan Wiley (9:36), Chris Cherono (9:38), and Tristan Autry (9:38), 4 more athletes under 10:00, and a further 8 athletes sub 10:10. 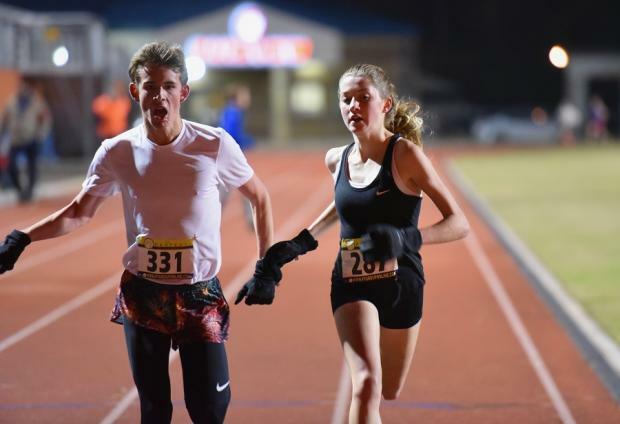 The race definitely had a championship atmosphere and was an awesome way to end a chilly yet impressive evening of fast performances from kids either ending their seasons or gearing up for one more "go" at Foot Locker or Nike.